The Welcoming Committee – Early Summer: Erwin Smith, a seven year veteran of the Survey Corps is enjoying just another day of military life. As a reward for showing up hungover to more inspection, Erwin is in charge of inventorying supplies with a handful of others. Around midday, his duties change – he gets to show the latest batch of Survey Corps recruits around the barracks and headquarters. One rather excitable red haired cadet stands out – Laria Rockfield. All in a Day’s Work – Three Weeks After the fall of Shiganshina: Erwin has yet another day of search and rescue ops planned. Here’s hoping everything goes well. Rain and Blood – Late Autumn: A scouting mission in a thunderstorm goes sideways as Erwin tries to reduce casualties and find a way out of a ravine. Clean Sweep – Late Autumn: Erwin has some ideas planned for Levi, and thinks that a surprise inspection from the MPs is the perfect catalyst to their conversation. Rate of Change – Mid-Winter: Erwin has started to trust Hange, and thinks its high time he fill her in on two of his latest plans and learn more about her research. She is the closest he has to and Executive Officer after all – but that doesn’t mean he can trust her with that level of responsibility just yet. Utopia Team Seven – Battle for Utopia: Erwin and Several members of the Survey Corps are sent with haste to Utopia to prevent a repeat of Shiganshina two years prior. Too late to stop the initial assault, Erwin, Levi, and several others launch a surprise counterattack on the remaining titans within the walls. Ah Nile, everyone's favorite rule following piece of…okay maybe I can’t say that but you know where I’m going. Commander of the Military Police and ranked fourth in his cadet class (just behind Erwin in third) they were thick as thieves, and treated as brothers by their instructors. This also meant they caught hell when either got in trouble; which they did – a lot. It was on the night of graduation where they finally had their falling out. Erwin threw a punch, Nile got the girl and started a family, and the two most inseparable cadets in recent history hated each other. There were never any romantic ties between these two, period. However, they were both interested in the same woman, Marie – their bar tender (she was the barkeeps daughter). Nile and Erwin certainly “hate” each other but they still have deep respect for one another. But it's not like anyone would notice now that they have their professional rivalry as well (MPs vs Scouts). Nile is a rigid follower of rules and orders…something which always got under Erwin’s skin, as he lived to question the status quo. Nile is married to Marie and a father of two, a true family man. They live within Wall Rose. A Garrison soldier approached Erwin as the Survey Corps moved in column formation towards the gate leading out of Trost District towards Wall Maria. A place that was once populated with humans now just little more than a frontier. Erwin raised his hand and the column came to a halt without him ever having to speak, even as subordinates echoed the command down the line. The garrison soldier, apparently still a little green, had to take a moment to take it all in. “I would assume no more than an hour, sir,” the soldier said scratching his head nervously. “Yes commander,” she responded, and off she went as Erwin moved closer to the gate before dismounting himself. It seemed that their latest rescue mission was going to be off to a late start. It was the sixth this week alone, and more often then not, they would find little more than empty villages with the residents having long moved behind the walls. OOC: Two rounds of posts will be follow. 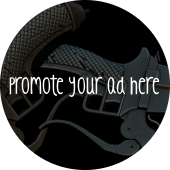 Round will start with first post, then go until all those in the RP have posted once and replied once. Mission will then continue. Erwin has moved nearer to the gate to observe the group coming in, and rest of the Survey Corps is about two blocks behind him. Hey all, so as you already know, Erwin's father left his research notes behind, so I will begin posting a series of excerpts here! Enjoy! In those years I have served as a teacher I have discovered something truly odd about our world...or what may be left of it. These walls, this island - it cannot be everything. Humanity extinct except for all but a few hundred thousand people? There is something wrong there indeed. Why is knowledge of the outside world banned as well? And could this be attached to the clashing dates I've found in some earlier textbooks during my time as a student? While I do fear that i may have stumbled on to something that is much greater than myself, I feel that I must unearth this secret for the good of the people, I must find the answer. However, I do not know how deep this will go, or how many new mysteries will I stumble upon in the process. Or if it may get me killed. But isn't the truth sometimes more important than anything else? Each one of you has my respect. Let’s talk personality here for a moment: Erwin is decidedly complex. He is serious, self-assured, pragmatic, perceptive, and always planning far for the future. Furthermore, he is what could be called a “strong and silent type”, and doesn’t speak more than is necessary; whether he is calling someone out, or speaking to a crowd to stir up support. As such, he has a stoic charisma that draws people to him. Despite this he does have a softer side and has a deep concern for his subordinates. But underneath this exterior is a man who is riddled by self-doubt, guilt and many regrets. Perhaps this, or something darker, drives his almost single-minded determination to defend humanity. 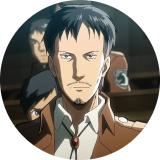 It is interesting to note however, that he seems to sit somewhere between his two immediate subordinates, Levi Ackerman and Hange Zoë. 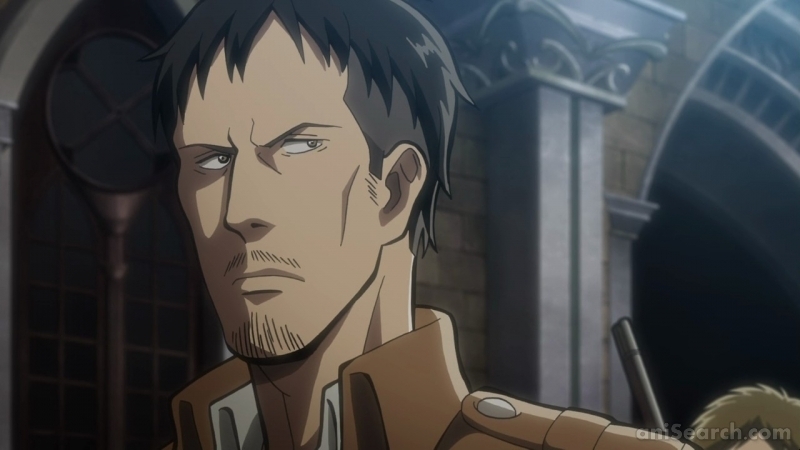 Where Levi is rude, anti-social, and aggressive, Erwin is polite, direct, and calm. Where Hange is loud, outgoing, and impulsive, Erwin is quiet, introverted, and patient. Who do you think the real enemy is? 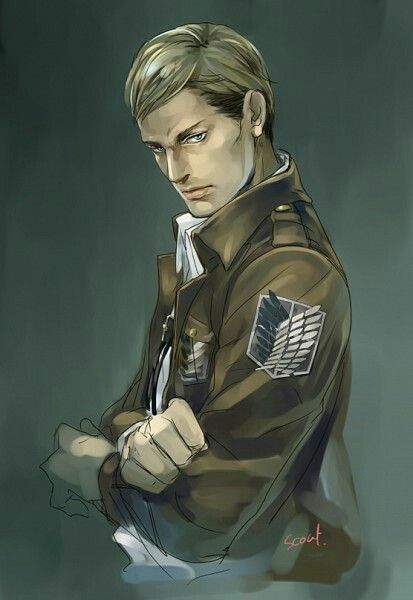 Erwin may not always play well with others, but that doesn’t mean that he is beyond hope of building bonds of trust and respect with others within his unit. After serving in the Survey Corps for well over a decade, it would be impossible for to not have built even a handful of these relationships despite his trust issues. As for romantic relationships? Perhaps it would be best to play it by ear, but as a man wholly dedicated to his cause, they are highly unlikely. Mission planning – Erwin is the head of the Survey Corps, but despite that, he seems to value the input of everyone in his unit when the situation demands it. Simple conversation – I know this is more than vague, but Erwin has been in the Survey Corps for more than a decade and though he isn’t much of a talker, it’s fair to say he may know almost all of his subordinates. Maybe he is reminiscing with someone about life before the war or a mission with Keith Shadis? Perhaps they are discussing the state of politics behind the walls? Maybe he has to make an inspirational speech? Daily operations – As commander, Erwin has to deal with the daily issues of commanding a military unit. This could include requisitioning supplies, resolving conflicts between squad leaders, reviewing potential new recruits to the Survey Corps, and so on. While many may find this hum-drum and dull, this is now his daily life.